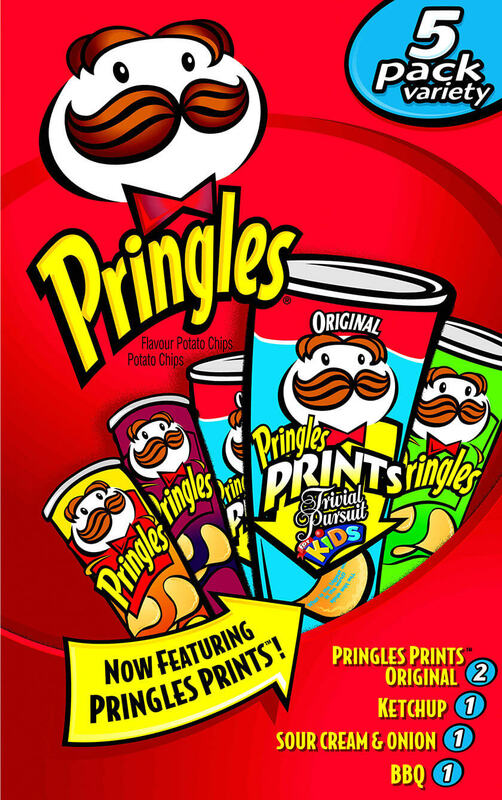 Pringles Prints™ is the revolutionary technology from P&G for the Pringles brand. 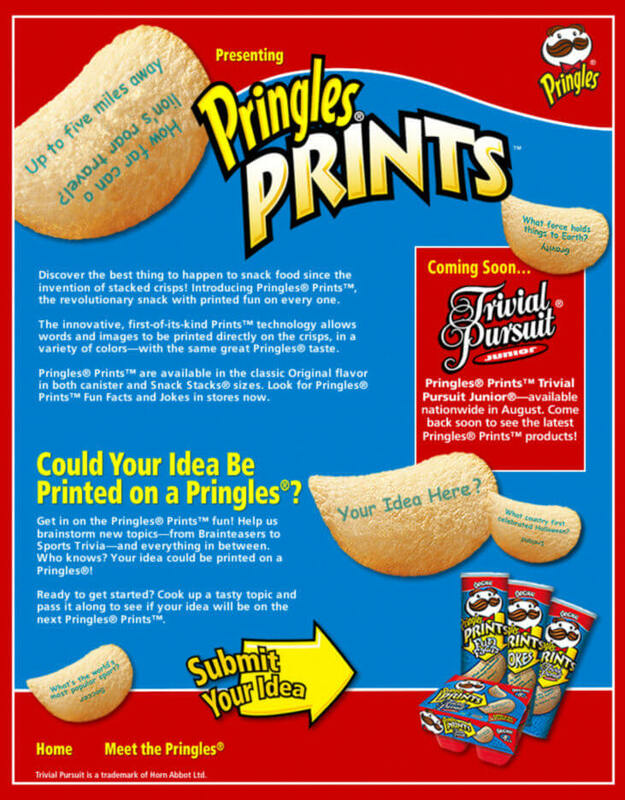 The first-of-its-kind technology allows words and images to be printed directly on Pringles crisps in a variety of colors, with the same great Pringles taste. 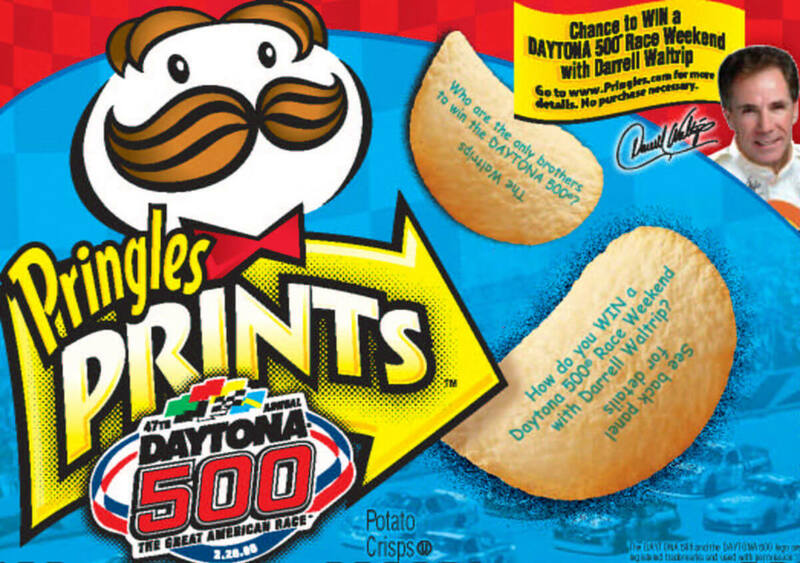 Pringles is the first packaged goods brand to turn their product into a media vehicle. Stafford leveraged the new brand asset to negotiate and develop the anchor promotion and content partnerships to utilize this new marketing technology. The objective – develop a partnership strategy and platform to attract tier 1 partners who could provide compelling and relevant content, to print on crisp. 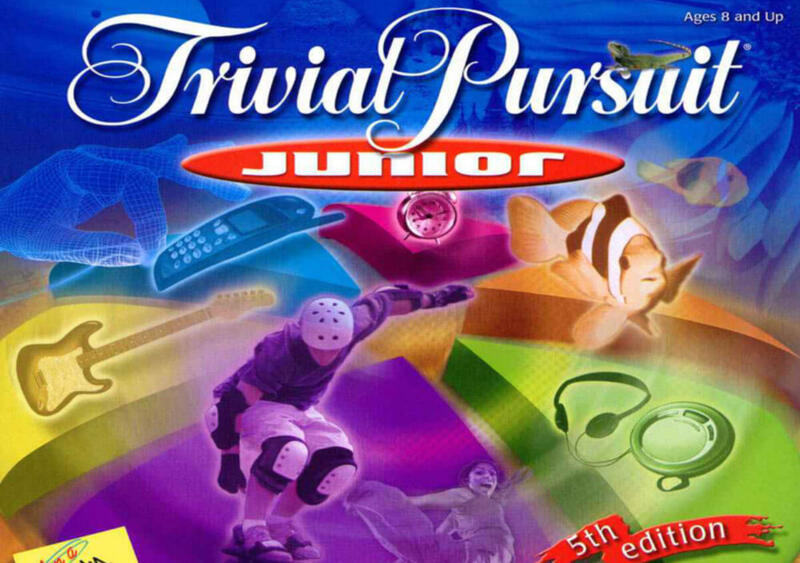 Content needed to be exciting and relevant to the target; drive display and on-shelf SKU’s; drive increase in sales. 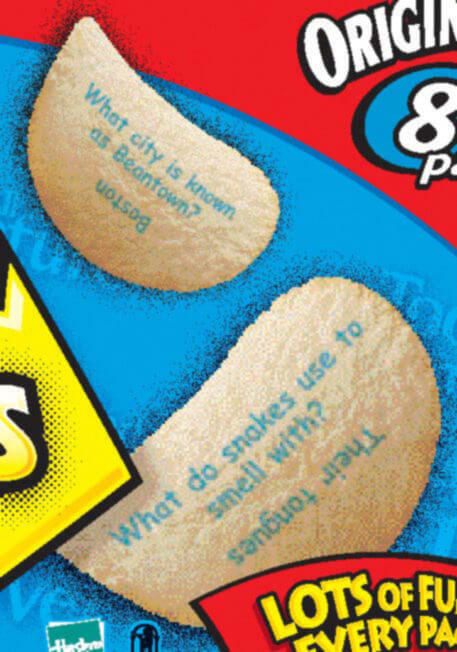 Stafford’s strategy was to leverage the power of Pringles Prints™ to attract and secure multiple partners who could bring highly valued intellectual property to print on the crisps. 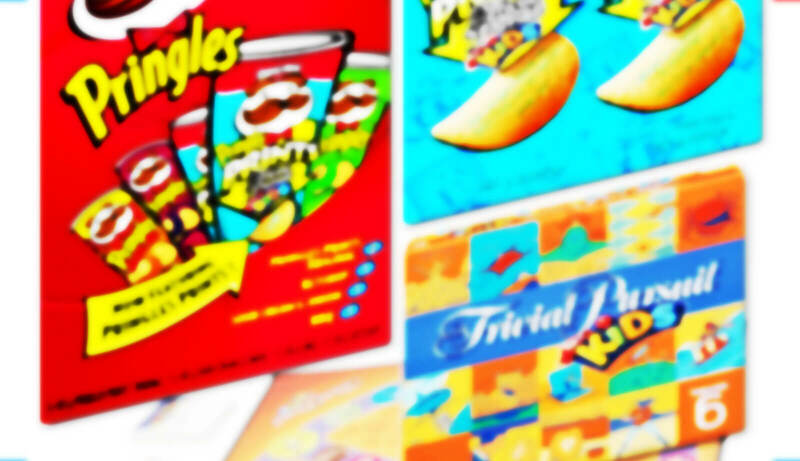 These partners provided compelling content, which synergized with Pringles’ brand character and facilitated the development of alternative channels of distribution. 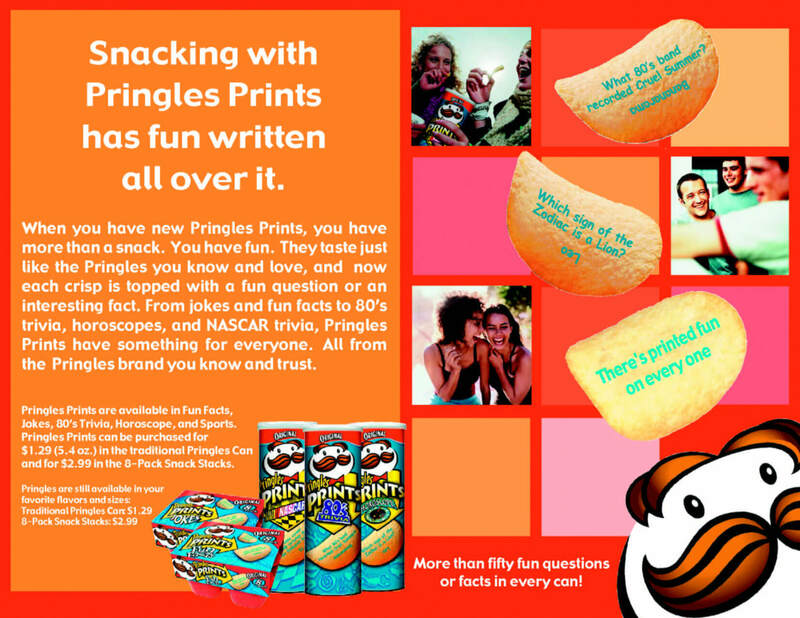 With a Pringles Prints™ program, the brand was able to deliver more than just simple on-pack exposure to their partners and Stafford exploited this fact on behalf of Pringles. 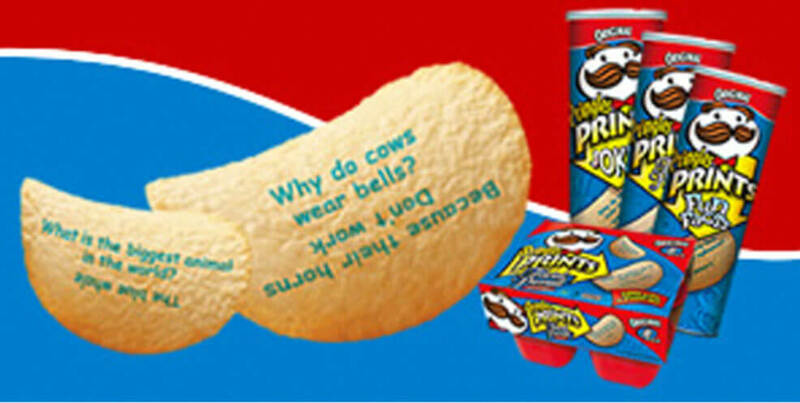 The potato chip became a media vehicle, which can deliver hundreds of millions of impressions in a promotion. The DAYTONA 500 and the DAYTONA 500 logo are registered trademarks. of Guinness World Records. All rights reserved.